The Playmobil Roman Chariot has removable spoke destroyers on the wheels and is drawn by two horses. 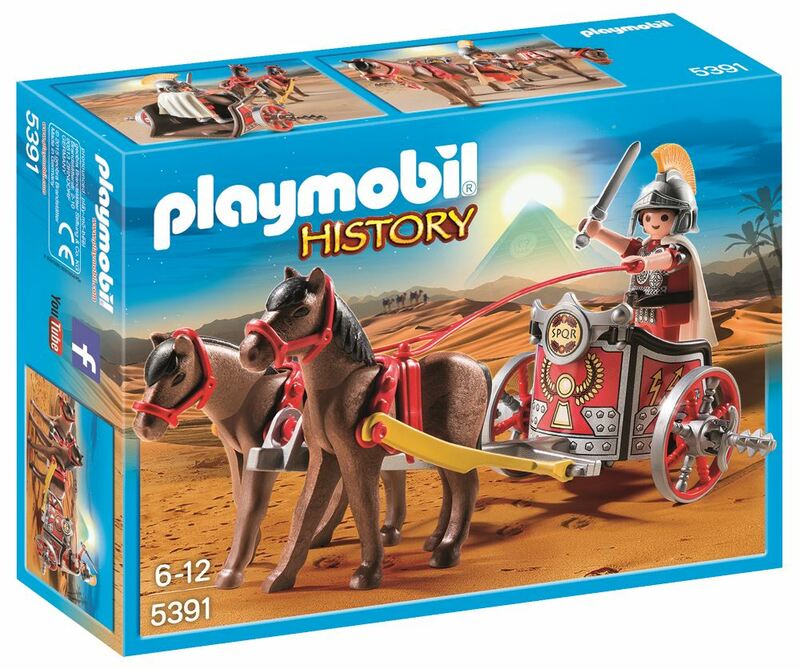 Includes: a figure, chariot, 2 horses and accessories. Part of the History range. Age 4+ years. Distributed in New Zealand by Holdson.